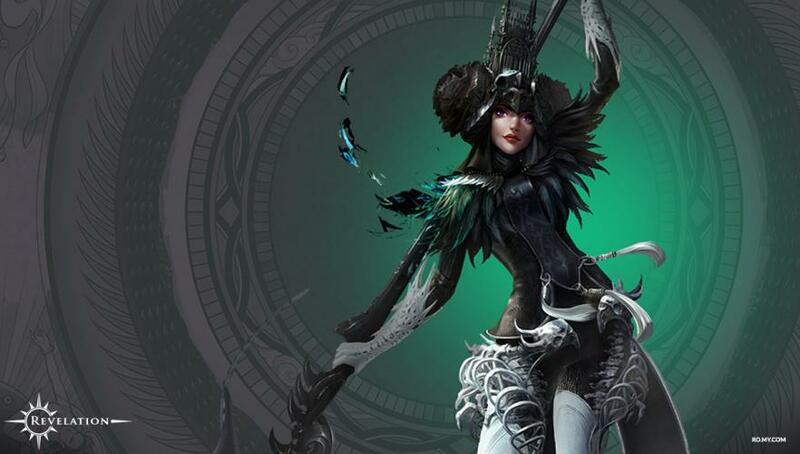 The first in this series of trailers shows the origins of the Blademaster class. The Blademaster lives by a strong warrior code which has been passed on through the ages by the class most adept tutors. The player will take the role of secondary tanks and close combat specialists in the game. They combine their twin blade damage with escape skills allowing them to cut through wave after wave of enemies. 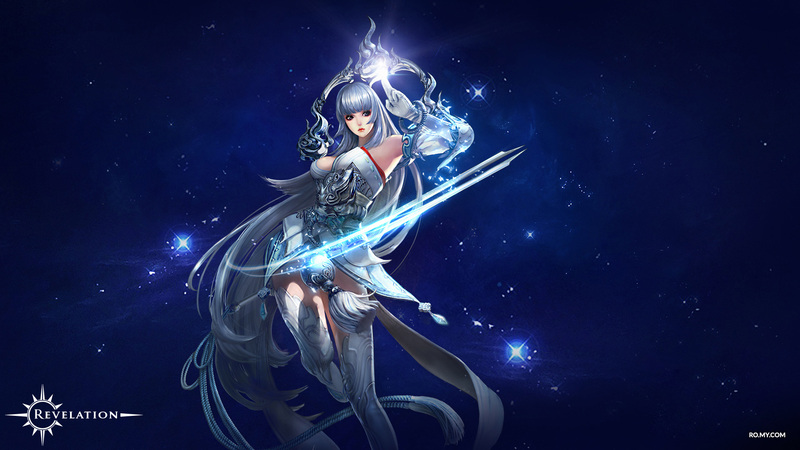 “With the creation of each class, we naturally wanted them to fit into the history of Revelation Online -The Blademasters are an important part of the saga. This character has no equal in melee, able to endure an onslaught while not failing to catch the enemy off guard when the opportunity presents itself. All this makes the Blademaster one of the most dangerous classes in Revelation. In the trailer, we don’t only show these violent warriors in action, but also reveal more of its origin”, said Zhang Peng, Revelation Online’s Project Manager at NetEase. After being bestowed the science of gunpowder, Gunslingers use weapons that target both from close and long range. They also lay sophisticated traps that can disrupt enemy positions. What Gunslingers lack in magical abilities, they trade for cunning science and the mastery of all kind of guns including handguns. The pistols mounted on the Gunslinger’s hips often come into play when the Gunslinger choose to prove their skills in deadly standoffs. Gunslingers challenge both their mind and body using technology and creative thinking. That’s why they don’t frown upon other schools’ mantra and are likely to borrow any knowledge that will come in handy to reach their own goals. Using to their advantage their greater mobility and range, Gunslingers usually shy away from crowded battlefields and hunt more in the outskirts. Thanks to the power of gunpowder, Gunslingers can take down enemies over unimaginable distances. Their ingenious traps can cause massive damage wreaking havoc and confusion to large armies or deadly ambushes to isolated groups. Combat Style: Ranged physical combat; hunt down individual targets from afar. Difficulty: Use of trap skills to limit enemy movements. Difficulty is moderate. Class Advantages: Has the longest attack range. Has absolute initiative when fighting off enemies or pursuing them. Class Disadvantages: Gunslingers have few control skills and are less effective in melee combat. Team Position: A veritable mobile armory, a Gunslinger uses long-range attacks to neutralize enemy threats from afar. Armed with healing and psychic abilities, Spiritshapers can call upon spirit beasts and spiritual powers to initiate attacks. The longer they are in battle the more their enemy’s stamina erodes away. Not only that, but they can also use the life of plants to heal and dramatically increase survival abilities for themselves and their teammates. It’s a ranged class that has healing, damage and support all covered. As the name suggests, Spiritshapers have a mastery over the spiritual realm that allows them to save lives. They have a friendly look to them with delicate facial features and a manner that just makes one want to be close to them. The bells and orbs they carry have their own vitality and it’s not uncommon to see butterflies following closely behind them. One must have a pure and kind heart to have an agreement and communicate with the plants and animals. Spiritshapers use these agreements to save lives and purify the spirits of others. Behind their countless good deeds, lies a righteous heart. Just because they are about saving lives doesn’t mean that Spiritshapers will allow evil forces to pervade the realm. When peace and kindness are under fire, their life-saving abilities transform into powerful attacks which are then unleashed on any enemy of peace. The heart of a doctor and the benevolence of a god. As the primary healer in the game, Spiritshapers have a certain flexibility. Their decent damage skills and continuous healing abilities make them suitable to be developed as pure healers, human shields, support characters or similar paths. Pure healer Spiritshapers can stand behind the battle in relatively safe zones and use their continuous skills to heal teammates. When a Spiritshaper stands as a human shield, they can face down a mighty force without yielding. Damage skill Spiritshapers can deal damage that is equal to a minor mage and is sure to be a nightmare for any enemy. Combat Style: Ranged magic spells deal damage and heal. Difficulty: Has a host of continuous skills that are easy to wield. Class Advantages: Easy to control, trains efficiently and has strong self-protection abilities. Their healing abilities can make themselves and their teammates all but invincible. They are a popular choice for teams. Class Disadvantages: Have fewer damage skills than other classes and don’t have many methods of attack. Team Position: Can stand in the back row to heal and support their teammates. Since they’ve inherited the Divine Power and wisdom of the Green Empress, students of the Swordmage art carry an elegant temperament and a beautiful look that can topple a countless number of people. However, Swordmage prodigies are not fond of this. They know that the power comes naturally from the heart and not from mere training or the people of noble blood. With their adept swordsmanship and magic, Swordmages have incomparable magic damage skills and powerful control skills which make them an unstoppable force in the realm of magic dealers. They pose a huge threat to enemies whether they are alone or part of a team. They make for an indispensable fighting and control force on the battlefield. Their powerful damage position and weak defensive abilities make Swordmages a prime target on the battlefield. They can die in an instant. The unique assets and abilities that Swordmages can obtain, make them more unique than traditional mages. They possess the power of anti-control and movement skills that give them much more flexibility in the heat of battle. They have the power to control Phoenixes and Dragons and they can use the power of the gods to manipulate ice, thunder and flame. When harnessing the power of ice, murderous swords strike fear in the hearts of even the most evil of demons. Swordmages may not be built as powerful as Vanguards, but the swiftness of their attacks can bring down a countless number of enemies. Also, when a Swordmage Disciple brings out his blade and rune, enemies are left with no place to hide. The power of the Phoenix transforms into rune magic that makes the enemy play into the hands of the Swordmage. Swordmages are an indispensable part of a team. Their massive group control and damage skills can be used to create a control field that enemies won’t be able to escape from and thus will disrupt their attack rhythms and allow the Swordmage to attack with ease. When they protect their teammates, they in turn create a safe healing environment. However, they can also be used as magic turrets that can use their magic skills to turn enemies into dust. No matter which type they are, Swordmage occupy a high status on the battlefield. Additionally, their mobility and control skills make Swordmages perform very well in one-on-one battles. Combat Style: Ranged magic damage, specializing in area of effect spells. Difficulty: Their kite tricks and skill timing make them a more difficult class to master. Class Advantages: They have massive area damage abilities, powerful explosive abilities. Class Disadvantages: Swordmages invest all of their energy in control and attacks, leaving them relatively weak and vulnerable to focused attacks. Team Position: Swordmages cast magic attacks and control spells from the center of the team. This can instantly turn their enemies into dust with protection from the front line. 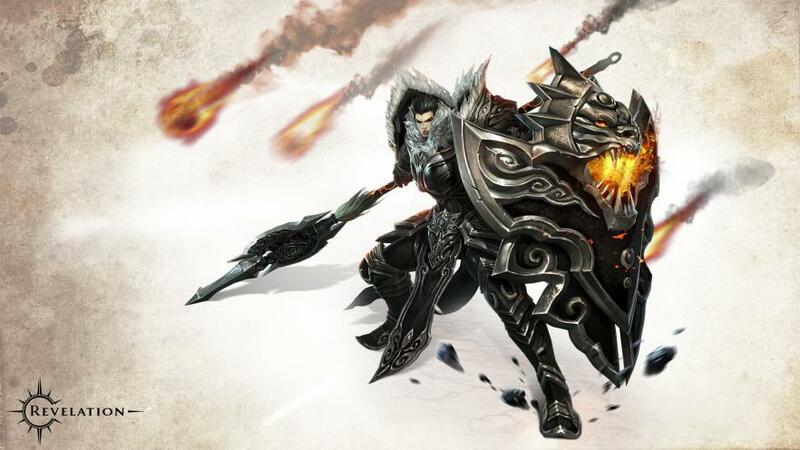 Vanguards wield battle tactics inherited from the founder of their school, the mythical Yellow Emperor. With their powerful techniques honed through dedicated and arduous training, the Vanguards are valiant protectors with their divine spears and shields. Vanguards are the foremost melee class in Revelation Online. They are resolute in the face of danger and boast an impressive array of defensive abilities. With years of battle experience and dedicated training behind them, those worthy of the Vanguard mantle invariably develop great fortitude and the strength of giants. They are the bravest of all the classes. On the battlefield or in the wilderness, a Vanguard relies on their extreme survival abilities and control skills to give teammates opportunities to attack, defend a foothold or endure damage. Combat Style: Melee physical combat. A wall of steel, an unstoppable warrior. Difficulty: Vanguard battle tactics and combat rotations are intuitive and easy to learn. Class Advantages: A battle-hardened powerhouse that leads the charge against the mightiest foes and can easily endure long battles. Class Disadvantages: Vanguards lack stable attack abilities, so they are not as effective in day-to-day questing as other classes. Team Position: A formidable tank, protected by an enormous shield, the Vanguard leads the charge and protects teammates.